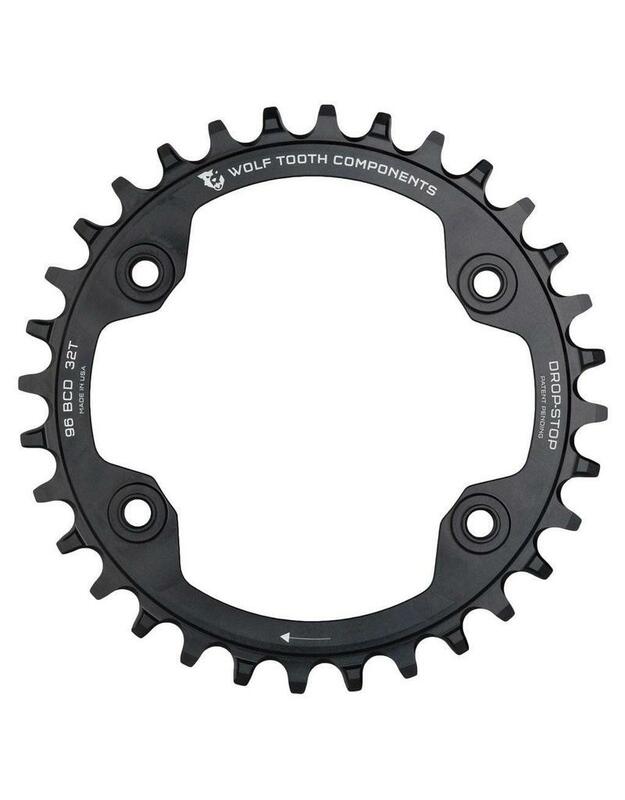 Looking for a 1X chainring for your new XTR M9000 crankset with the proven chain retention of our Drop-Stop® chainrings? Wolf Tooth has what you need! 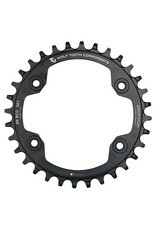 These chainrings fit only the Shimano XTR M9000 and M9020 cranksets (race and trail respectively). 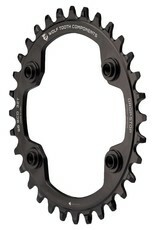 They have an asymmetrical 96 mm BCD with built-in threaded standoffs to provide the ideal 1X chainline. 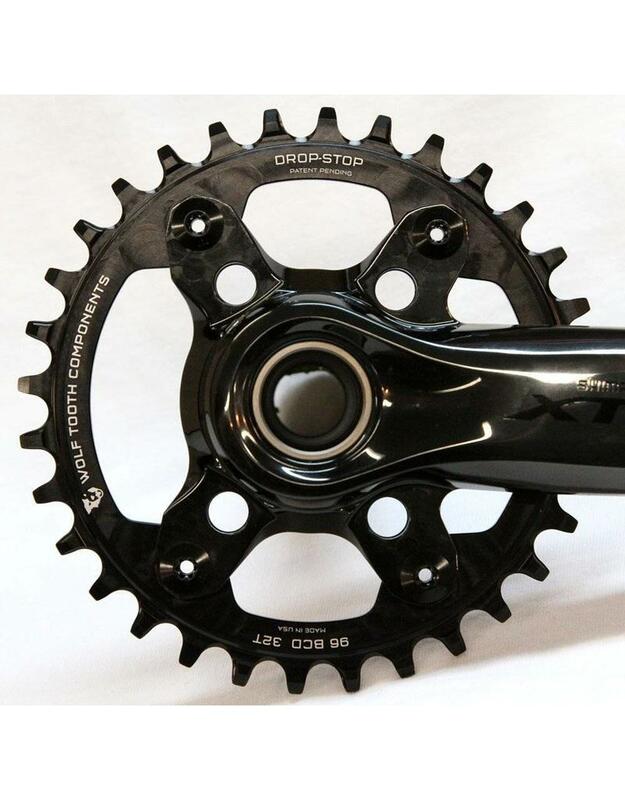 These rings fit on the Shimano XTR M9000 and M9020 1x or 2x cranksets, and here are instructions on how to measure your BCD. You will not use the stock bolt caps when mounting this ring. 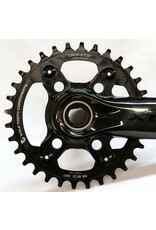 The stock bolts will thread in to the chainring's standoffs from the outside of the crankset. Must use the special stock chainring bolts. 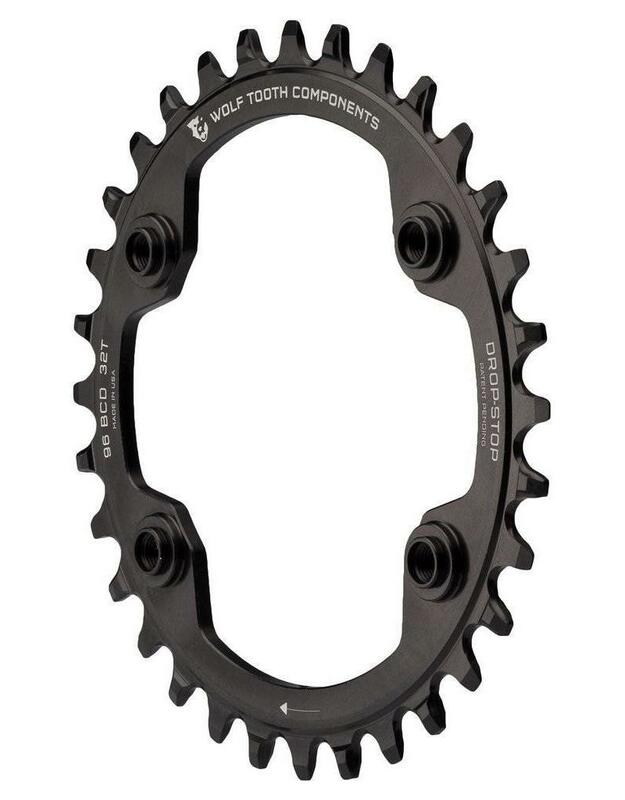 The Wolf Tooth chainring bolts are a different size.